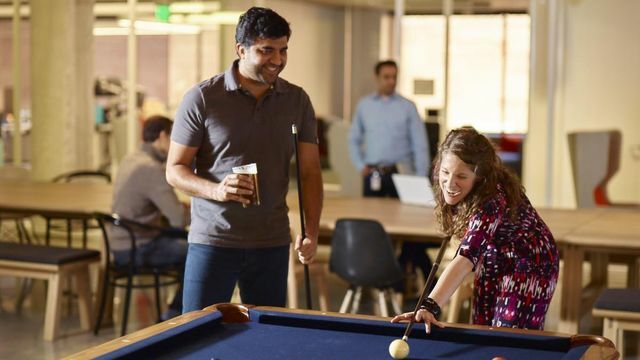 Banks are trying to ditch their old school office spaces in order to recruit the best talent, foster innovation, and develop new corporate cultures. Capital One currently employs about 250 people in San Francisco, with that number expected to grow to 400 by the end of the year. The new SoMA space is being designed as a campsite with a tepee, screen door and hammock. Currently under construction, the new banking innovation center is slated for a summer opening. “It’s in a perfect location,” Potter said, “and that was a big draw for us. We know offering an easy commute and a happening locale are important to tech talent, and we went the extra mile to locate the best spot for that reason.” Similarly, Prosper Funding made sure to design a comfortable and inviting office at its headquarters on 221 Main St., which it moved into in December 2014.